Known as the Calypso Queen of Trinidad and Tobago, Caribbean sensation Calypso Rose, with over 30 albums under her belt, set out in 2007 to become the Calypso Queen of the world with the launch of her first internationally-released self-titled album “Calypso Rose”. Since then, Rose has intensely toured Europe and the rest of the globe with agent Azimuth Productions, which is based in Paris. Already being compared to Cesaria Evora and Miriam Makeba, her new status on the international scene is unprecedented for a Caribbean calypsonian. Calypso Rose was born McArtha Linda Sandy-Lewis on the Caribbean island of Tobago in 1940. At age nine, she was sent to live with her aunt and uncle on the neighbouring island of Trinidad to ease the strain on the family budget. The pain of separation was softened by her aunt’s shared passion for music, and soon after she would often frequent a number of calypso tents following the carnival parades. “I didn’t become a singer of calypso; I was born into calypso”, she says. 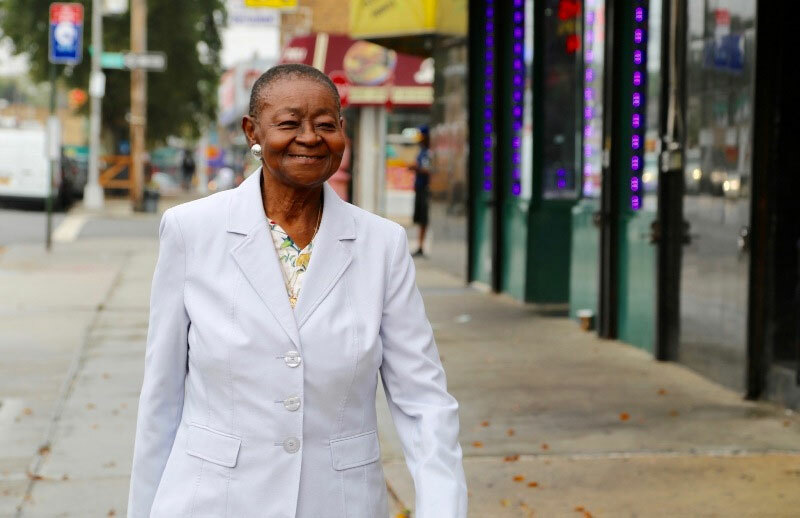 By the age of fifteen, Calypso Rose had written her first hit song, “Glass Thief”, and by the mid-1970s she had won the Calypso Monarch and Road March competitions, and officially secured the title of Calypso Queen of Trinidad and Tobago. Her reputation soon spread far beyond Trinidad as she shared stages with the likes of Bob Marley and Tito Puente, as well as top calypsonians like Lord Kitchener and the Mighty Sparrow. In 2012, armed with her new global success, Maturity Music (Trinidad and Tobago) and Stonetree Music (Belize) received a grant from the Caribbean Export Development Agency (Caribbean Export) to aid in the production of Calypso Rose’s new international album. Four years later in May 2016, the 76 year old released “Far from Home”, her second international album, with a huge promotional drive in France, Germany, Belgium, Spain, and Switzerland. The album was released in Trinidad and Tobago in November 2016, just in time for 2017 Carnival. Produced by Ivan Duran and with Manu Chao, adding his own unique flavour on the songs, the new album finds itself poised for today’s audience while still being true to the classic sweet soca beats rooted in African, European and Caribbean cultures. As she did back in Trinidad in the 60’s, 70’s, and 80’s, Rose continues to pack a powerful message with her lyrical content addressing women’s rights, worker’s rights, and domestic violence. Now the Calypso Queen of the world, Rose’s album “Far from Home” has become a huge success hitting the main stream charts in Europe and becoming a gold selling album with the expectation that it will soon become platinum. Rose received the WOMEX award for the Best 2016 Artist of the Year on October 23, 2016 in Spain. In February 2017, she won the coveted World Album of the Year award at the Victoire de la Musique Award Ceremony in France, where in her acceptance speech she declared herself the ‘Queen of France’. The award caps a renaissance year in Rose’s career and if you think she’s done, think again; she’s now working on her third international album.